Please don't use on water! The future is a strange place. Soon, it will be the far off year of 2015 and we want to be ready for it. We designed this Hoverboard Pendant based on how we believe hoverboards should have looked like 3 years ago. 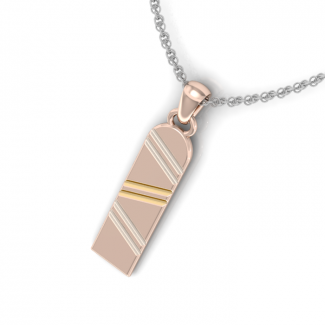 Available in Rose Gold or Sterling Silver with Rose Gold Plating, the Hoverboard Pendant is designed to mix abstract modern styling with 1980's science fiction references. For those who do not know the reference the pendant will still look like a nice piece of jewelry and for those who catch on are the best kinds of people. 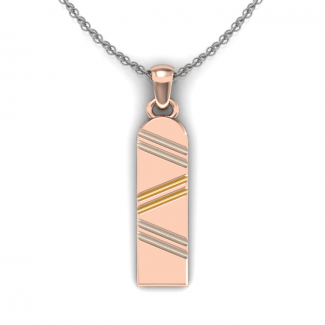 2cm long pendant made in Rose Gold or Sterling Silver with rose gold plating. There is a version with a green stone available in the pendant. There are 6 grooves cut into the pendant which are then plated with white and yellow gold. 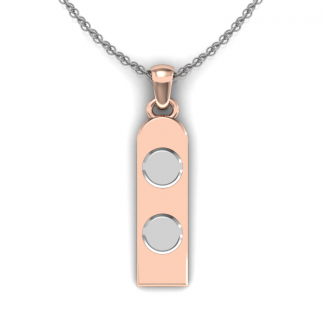 The pendant is reversible and has two small white gold plates on the back. The pendant comes with a chain. The chain may differ than whats in the images.